Our very popular Earthball stress ball puts the globe at your finger tips. 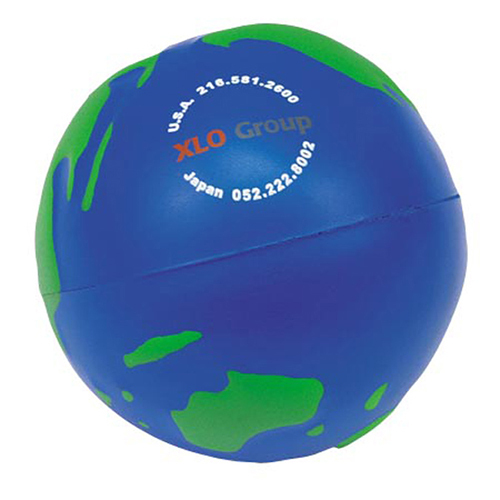 You can custom imprint an earthball stress reliever with a business message or clever phrase. These earthball stress balls are wonderful promotional items that will spread your information around the world. Popular industries include:outdoor, travel services, transportation services, trade contractors, colleges &amp, universities, international agencies, environmental organizations.